Prada sunglasses continues a legacy of fashion that began in 1913 when Mario Prada began selling shoes, handbags, and travel trunks. Prada is renowned for creating designs that seamlessly blend contemporary styles and modern technology. The Prada name has been synonymous with sophistication, luxury, and high fashion, and Prada has been a favorite designer of celebrities and fashion models the world over. The Prada line of sunglasses stays true to the tradition of daring styles, modern designs, and fashion-forward thinking that has been the hallmark of Prada's commitment to the cutting edge. Due to manufacturer's restrictions, Prada products cannot be shipped to Australia. 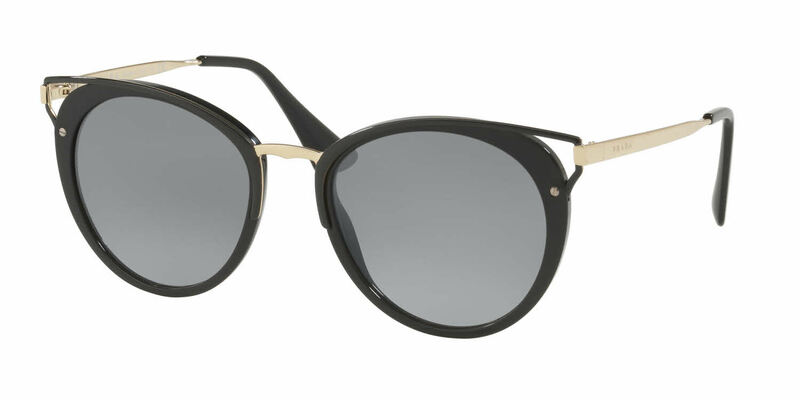 Prada PR 66TS is a Full Rim frame for Women, which is made of Metal. Ideal for usage with: Fashion, Everyday Driving. Prada PR 66TS RXSunglasses come with a cleaning cloth and protective carrying case.